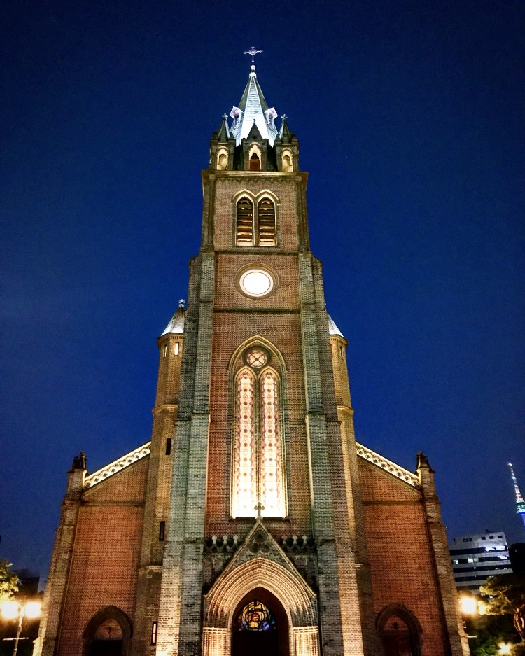 Seoul, Korea — After Japan, I returned to my home country, South Korea. I was born and raised in Seoul until I moved to the United States in 2007. I was thrilled to be back in Seoul since I had not been back to Korea for ten years. 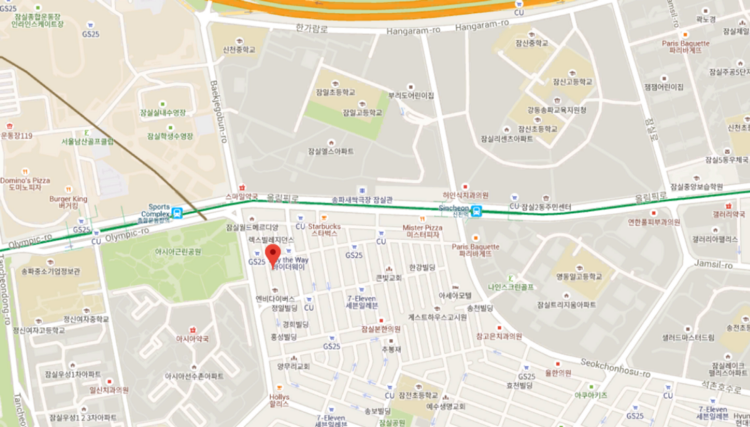 In Seoul, I was staying in Gangnam, the neighborhood that inspired the song “Gangnam Style.” There I found my new training ground, Wire Jiu-Jitsu. 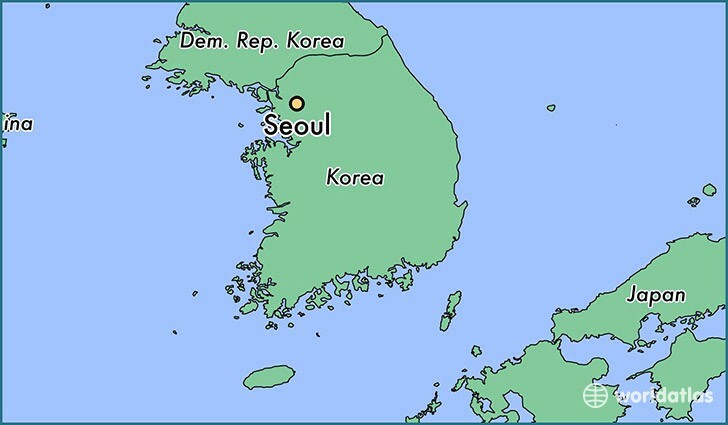 Seoul is the capital city of Republic of Korea. The city is a modernized metropolis where high-tech modern skyscrapers meets K-pop culture and historical tourist attractions. It is also home to about half of the country’s population. You will never find it monotonous to be in Seoul as the city is full of various tourist attractions. Wire Jiu-Jitsu in Jamsil is the headquarters for the Wire Jiu-Jitsu affiliates. The academy is mainly focused on Gi Brazilian Jiu-Jitsu, but they frequently host an open mat for No-gi. The academy is home to high profile Jiu-Jitsu competitors in Korea who regularly place in Asian BJJ Championships. Classes are led by Professor Yongwon Choi who is a black belt under Paragon Jiu-Jitsu Academy’s Ricardo Franjinha Miller. He traveled to Los Angeles to train Brazilian Jiu-Jitsu after his military service in South Korea. 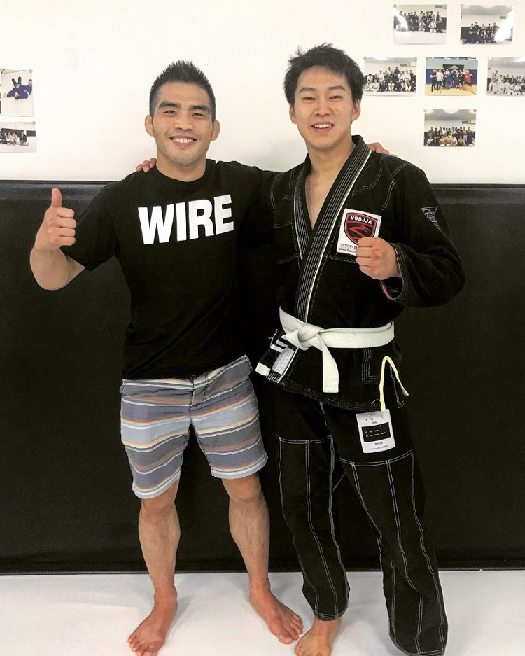 Another main coach for Wire Jiu-Jitsu is Minho Yoon, a brown belt under Professor Choi. 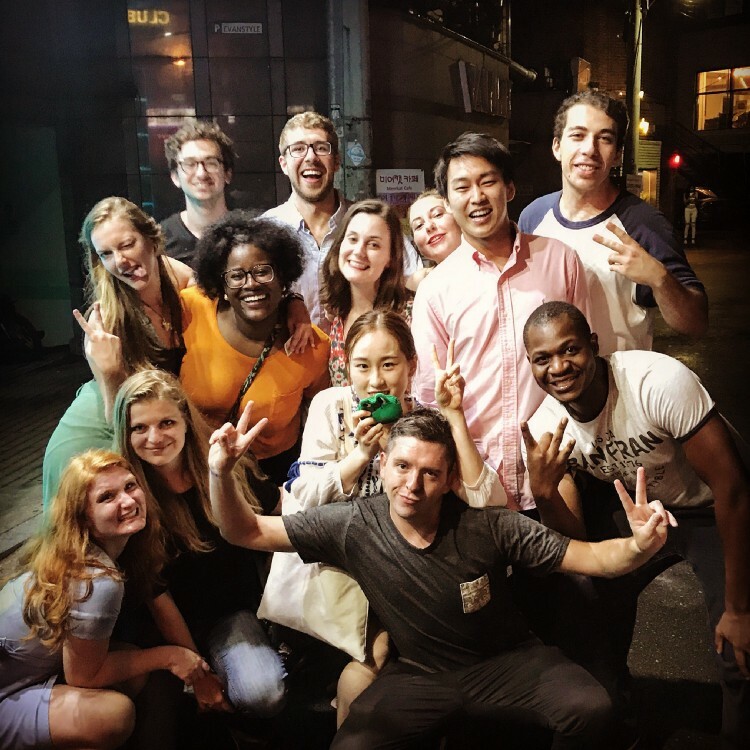 Since Korean is my first language, I didn’t run into any language barriers at Wire, and I noticed that the non-Korean speaking students were able to communicate well with one another in English. 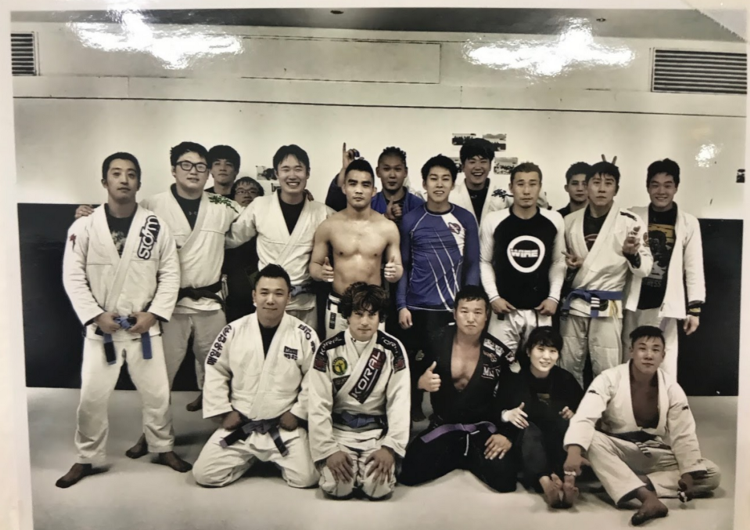 While training in Seoul, I trained with a few BJJ Globetrotters visiting from abroad, and it was clear that Wire Jiu-Jitsu worked to create a welcoming atmosphere to visitors. Besides regular daily Jiu-Jitsu classes, Wire Jiu-Jitsu offers competition classes every Monday, Wednesday, and Friday from 2pm to 4pm. The class consists of 10 rounds of 8 minute rolling and 2 minute breaks in between. The intensity of rolling sessions resembles the intensity of a competition environment. These classes were initially designed to train Jiu-Jitsu coaches under Wire Jiu-Jitsu or non-affiliated academies; a coach might take these classes to prepare before teaching at their own schools. However, I find these classes extremely beneficial to my training. Wire Jiu-Jitsu has an open mat space with a shower and a locker room. Unfortunately, there is no separate woman’s locker room, but the locker space is shared. Since the academy focuses solely on Jiu Jitsu, the academy does not have any other fitness equipment. The drop-in fee is ₩30,000 (~$28 USD) per class. However, competition classes are free and open to all affiliations. Gyeongbokgung Palace — The palace built in 1395 served as the home for Kings of the Joseon Dynasty. It is one of my favorite tourist attractions to visit in Seoul for its beautiful scenery. 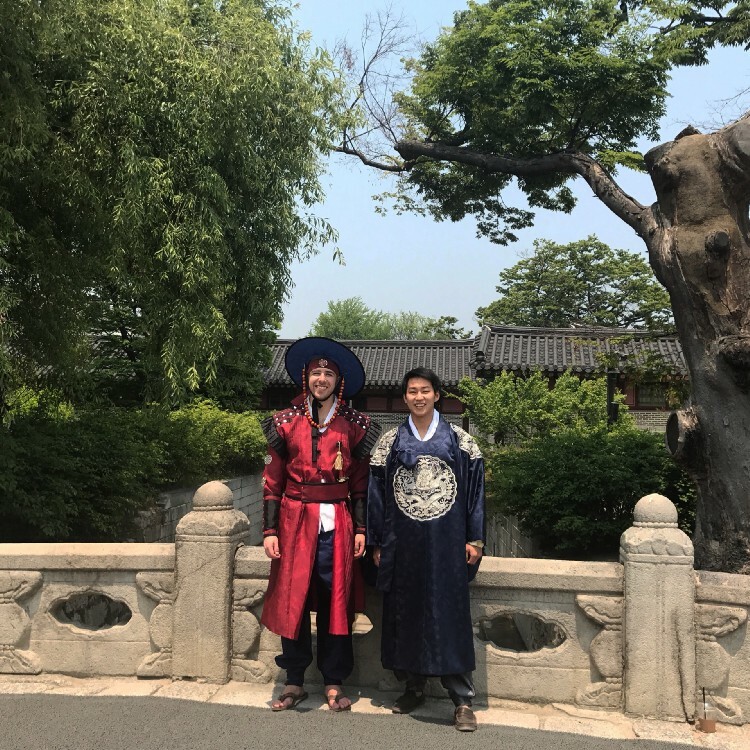 You can rent traditional Korean attires (Hanbok) around the surrounding area which will waive your entrance fee. 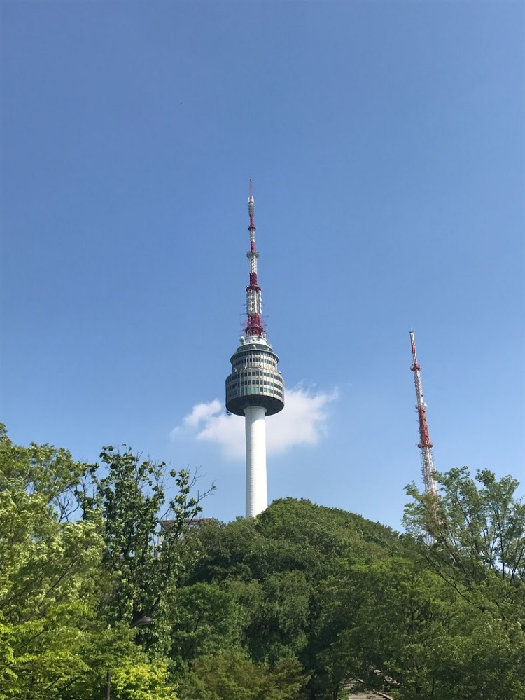 N Seoul Tower — Located on Namsan Mountain in central Seoul, the tower itself marks the second highest point in Seoul. You can either ride a cable car or hike up the mountain. The view looking down Seoul from the tower is simply remarkable. Myeong-dong — The district is famous for its shopping and eating packed with high-end brands and department stores. Also, you could easily locate various restaurants that suits your taste ranging from Korean dishes to international cuisines. Lotte World — Located in the heart of Seoul, Lotte World is a large indoor and outdoor amusement park. 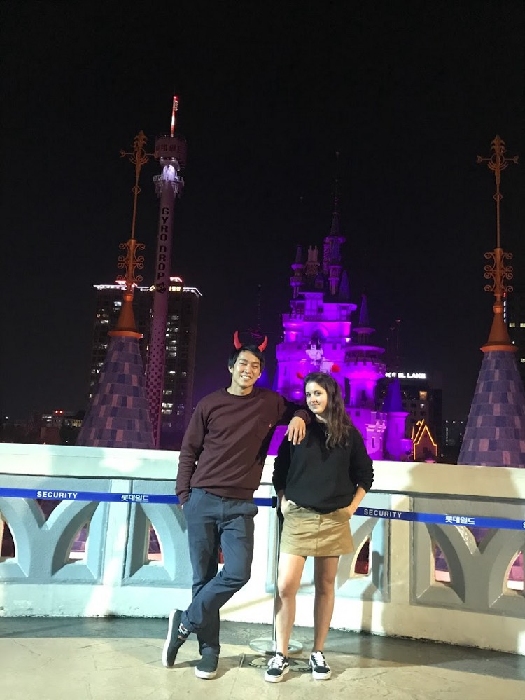 The theme park is filled with exciting rides, an ice rink and parades. Foreigners can get special discount tickets for the amusement park. Banpo Bridge — The bridge is locate on Han River, and every evening the bridge creates a spectacular show with water, music and light. 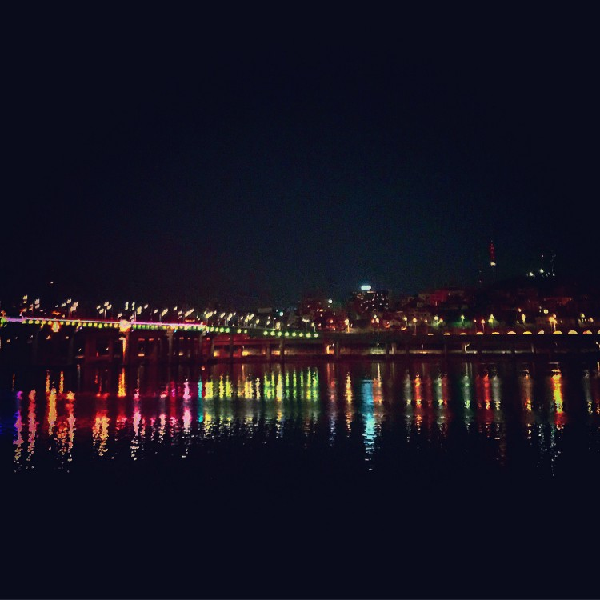 Grab yourself Korean fried chicken and beer and go near the bridge to enjoy the night in Seoul. Nightlife — Hongdae / Itaewon — Both areas are packed with clubs and venues that are open all night. Brace yourselves before going out in these areas!